Anyone who is professionally involved in many meetings knows how important it is to present oneself professionally. 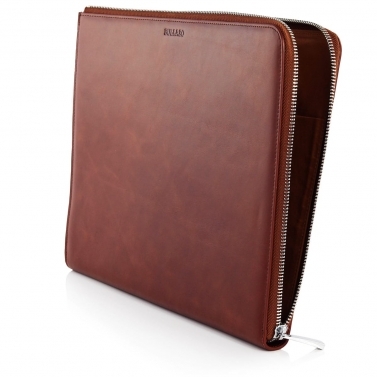 A simple and yet elegant leather portfolio case in DIN A4 sizte as a document envelope leaves a lasting impression. The cover for DIN A4 documents made of high-quality black leather not only protects your own documents, but also gives your appearance that certain extra. 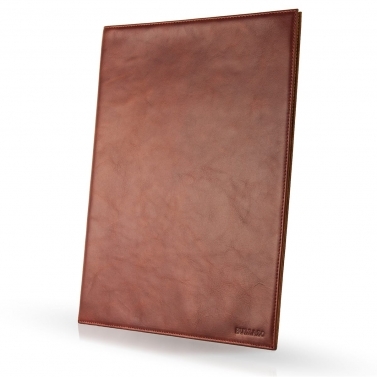 Multi-page contracts, exposés or important presentation documents are kept in this leather portfolio case well protected and safe. But the document envelope is more than just a simple leather envelope. It not only replaces a simple transparent film, but also holds several documents that have been sorted into transparent films according to the project, for example. Magazines and flyers can also be arranged in this space wonder. The result? A tidy desk and a professional, structured appearance at the next meeting or customer visit. Even though the leather envelope is often used as a separate document envelope, many customers appreciate our DOCUMENTO (product link) as an ideal customer gift when signing a contract. Many companies conclude contracts for projects, real estate or higher sums of money. All the main players and signatories are present at the signing ceremony. The signature represents not only ink on paper, but also the transfer of a larger sum of money, which is why signing a contract is not always the nicest task for the payer. If, however, the documents are prepared for signature in a high-quality way, and you later hold a noble, high-quality, absolutely high-quality and classic leather portfolio case in your hand in addition to the pure contract, then you have created a customer experience with added value that the customer or contractual partner can take home with him/her and will certainly appreciate. The special highlight of the BULLAZO document cover DOCUMENTO is an individual, hand-made engraving with name, initials, slogan or, in the case of larger print runs, even the logo of the contractual partner. The leather envelope not only captivates with its classic elegance and high-quality leather, but also with its personality. Especially for entrepreneurs, founders and lawyers, this is a great opportunity to showcase their own name or the law firm.